So many girls love American Girl dolls. They are so cute and a great way to play! Lea is one of the newest dolls and is super cute! American Girl has unveiled their 2016 Girl of the Year Lea. Lea, the 2016 Girl of the Year, is a talented photographer with an adventurous spirit. In her story, Lea discovers a wide world of possibilities when she embarks on a faraway adventure to Brazil. The 18”Lea doll has warm hazel eyes, medium skin, and long wavy hair. Lea arrives in a colorful dress with braided trim, underwear, and sandals with crisscrossed laces. Also included are her colorful canvas messenger bag, a pretend compass necklace, and the Lea Dives In paperback book by Lisa Yee. The Lea collection is available through American Girl’s catalogue; at americangirl.com; at all American Girl retail locations nationwide; and at American Girl specialty boutiques at select Indigo™ and Chapters™ in Canada and El Palacio de Hierro locations in Mexico City. The Lea books can also be purchased through retail and online booksellers. Available for only one year, Lea’s collection includes a beautiful 18-inch Lea™ doll featuring long wavy hair and warm hazel eyes, plus several tropical-inspired outfits, accessories, and toys that reflect her Brazilian travels—including Lea’s Rainforest House with over 30 pieces! To further expand Lea’s world for girls, an all-new, action-adventure film will debut on DVD from Universal Studios Home Entertainment in summer 2016. American Girl’s catalogue; at americangirl.com; at all American Girl retail locations nationwide; and at American Girl specialty boutiques at select Indigo™ and Chapters™ in Canada and El Palacio de Hierro locations in Mexico City. The Lea books can also be purchased through retail and online booksellers. The Amazing people at American Girl Want you to experience the adventure with Lea. One lucky winner will have the chance to win this gorgeous doll and go on their own adventures with her. 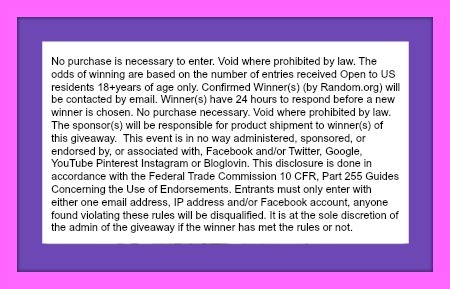 Giveaway is open to US only and ends on 1/19 at 11:59pm EST.Must be 18 years old to enter. I would love to win this doll for my youngest daughter. She just loves dolls and I know she would take very good care of her. I would love to win this for my granddaughter. Her birthday is coming up soon and I know she would love it! This doll would be for my niece. She’s wanted one forever!! My daughter would love to have an American Girl doll! My granddaughter Remy turns 8 this month and she is an American Girl Aficionado! This doll would be for a friend’s daughter if I won it. i would love to win this for my 7 year old granddaughter. My 7 yr old niece. I really, REALLY want to win this for my daughter! She has been asking for an American Girl doll for years. I just haven’t been able to give her one yet. And now I have a baby so it will be even harder. She is a great big sister and she has been doing really well in school. I would like to give this to her for her upcoming bday in February! This doll looks so much like her. it would be so great because it looks like her, she would flip out that she actually got one, and it would be a great bday gift! ty for the chance! I would win it for my granddaughter Victoria. I want to win this for my niece Paige! She has always wanted an American Girl dolly! 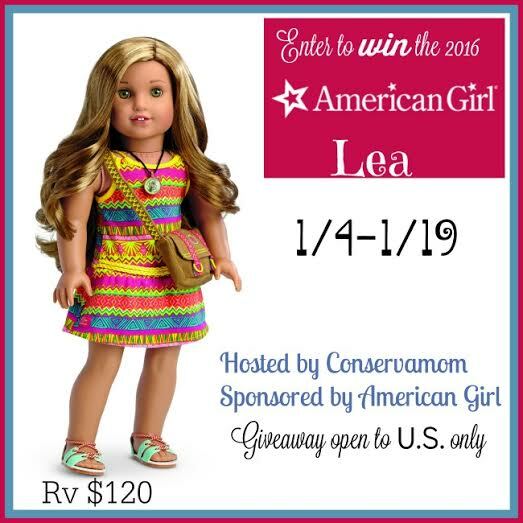 I would love to win this beautiful Lea Doll for my daughter! She would love her for years and years to come! I would win for my nieces. They want one so bad. My daughter, her birthday is coming up soon so she would love this! I would love to win for my 5 year old niece Micah! I would love to win this for my granddaughter. It would be her first American doll. Trying TO WIN THIS FOR MY GRANDDAUGHTER SHE WOULD LOVE THIS. I have 4 little girls who are AG obsessed. They’d love to win Lea. My granddaughter, Rina Ann. She will love her! I may be an adult but have always wanted an American Girl doll so I will keep her until I have a granddaughter. I would like this for my niece. This is one of her favorites. I would love to win this for my daughter, she just turned 11. It would be wonderful to surprise her with this!